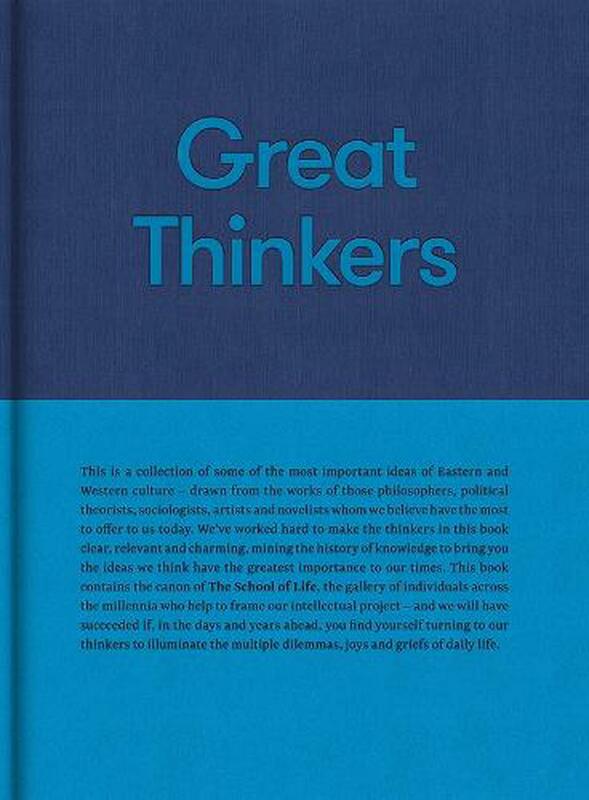 A unique selection of the greatest thinkers from the fields of philosophy, political theory, sociology, art, architecture and literature, with enjoyable profiles of what they have to teach to us today. The School of Life has made the thinkers in this book clear, relevant and charming, mining the history of knowledge to bring you the ideas that have the greatest importance to our times. The School of Life is devoted to developing emotional intelligence. It addresses issues such as how to find fulfilling work, how to master the art of relationships, how to understand one's past, how to achieve calm, and how better to understand and - where necessary - change the world. These ideas are delivered through a range of channels: from videos, books, and products - to classes, events, and one-to-one therapy sessions. The School of Life Press brings together the thinking and ideas of the School of Life creative team under the direction of series editor, Alain de Botton. Their books share a coherent, curated message that speaks with one voice: calm, reassuring, and sane.